Recently, the origin of the solar cycle is considered to be rooted in the dynamics of the solar core (Grandpierre, 1996). The dynamic solar core model requires macroscopic flow and magnetic field as basic inputs. The macroscopic flow cannot be generated by the quasistatic solar structure and it has to reach a larger than critical size (Grandpierre, 1984) in order to survive dissipation. Therefore the flow must be generated by outer agents. The most significant outer agents to the Sun are the planets of the Solar System. These theoretical arguments are supported by observations showing that planetary tides follow a pattern correlating with the solar cycle in the last three and a half centuries (Wood, 1972; Desmoulins, 1995). Therefore the pulsating-ejecting solar core model gives a firm theoretical basis for the interpretation of these largely ignored observations. 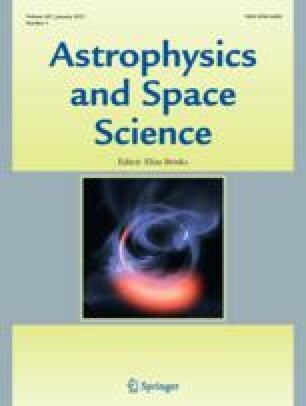 In this paper a new and simple calculation is presented which enlightens the planetary origin of the eleven-year period and gives a physical basis for a detailed modelling of the dynamo and the solar cycle.